Game design luminaries and the gaming press are collaborating to produce a special video in support of Japan as it recovers from the earthquake. Western game design owes a lot to our brethren across the Pacific Ocean. In order to celebrate Japanese culture and ask for donations to the Red Cross to aid the people affected by the disaster, a global initiative in the gaming industry have been working together to produce a 60 minute video called "Gamers Heart Japan." Prominent game designers like Peter Molyneux (Fable), Sid Meier (Civilization) and Cliff Bleszinski (Gears of War) will talk about what they love about Japan, and how much they owe the gaming community there. 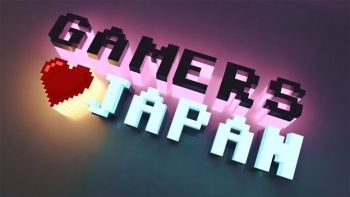 "Gamers Heart Japan" will air on April 3rd on cable channels G4 (US & Canada), SCI FI Australia, SPACE (Canada) and Musique Plus (Canada) as well as here at The Escapist. "Gamers Heart Japan" was produced by a joint effort organized across the gaming community, with many videogame websites contributing video production and commentary of our own. The Escapist submitted interviews with our staff - including yours truly - as well as helping videogame developers in the Raleigh-Durham area record their own submissions. While waiting for the "Gamers Heart Japan" special to be shown on The Escapist next week, check out the website and the Twitter feed. In case you were interested, here's a list of the game developers and websites contributing to the "Gamers Heart Japan."